Welcome to "Love Factory" - Joomla Dating and Matchmaking Extension Demo Website! Love Factory is the only professional Dating Extension designed for Joomla. It can help you create premium Dating and Community sites with just a few clicks. If you need Love Factory for older versions of Joomla - ask us about them. Test the product by logging in as a demo user (buttons at the left) or check out the admin backend to see what you can set up! 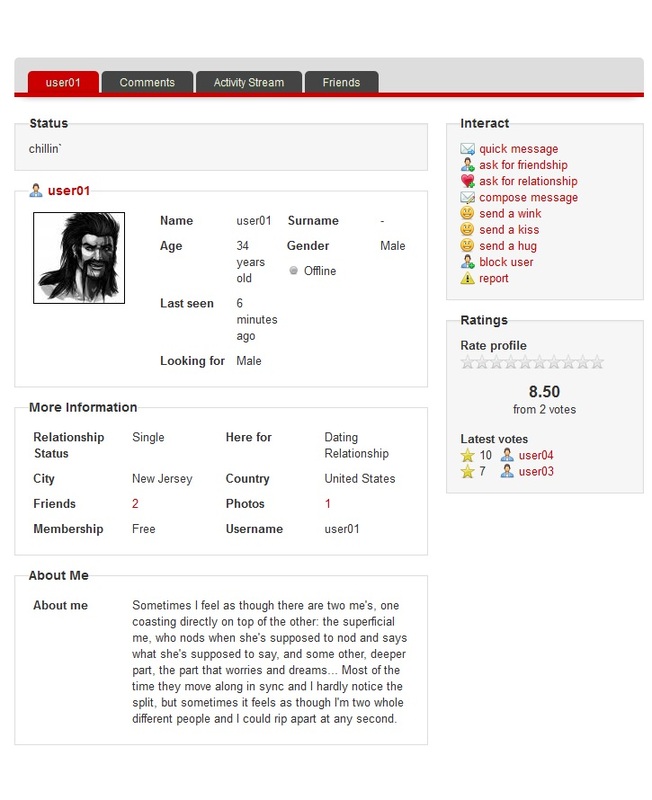 Users are able to create a complete profile that includes photos, age, gender, hair & eye colors, height, body type, languages, occupation, education, 'About me' and more. All these profile questions can be customized, meaning you can create your own questions and profile fields. Love Factory Extends the Joomla standard profile with Fields of your choice. You can use the predefined fields or create as many custom fields as you like! Webmasters can sell memberships for their users adding specific (customizable) features. You can even create different Membership prices for Male and Female! Members can register through Love Factory in order to have a single registration form, filling out the extended Profile information. Search for a Match / Member Profile. Search other matches or users by using Basic or Advanced search. 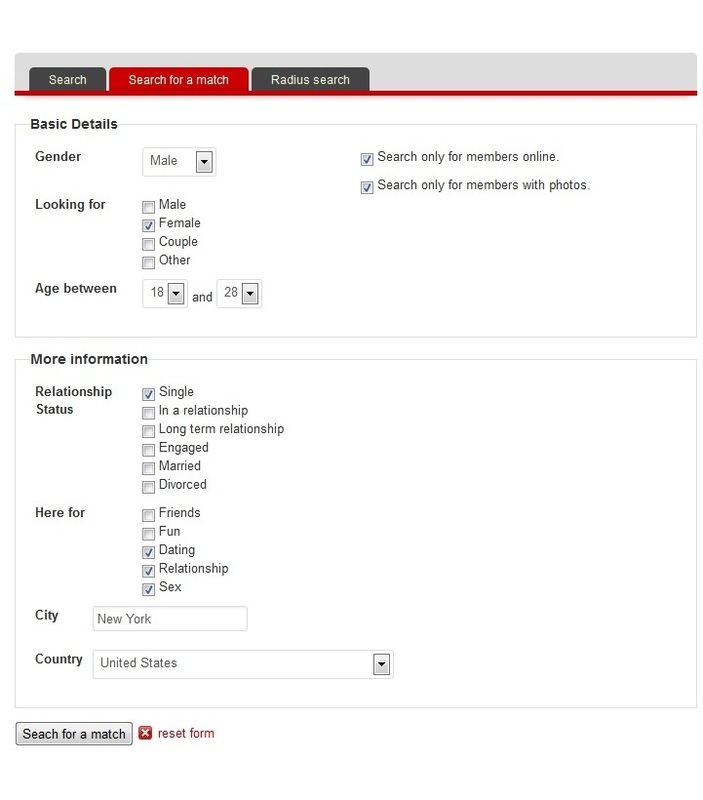 Member can search by gender, age, location, and other profile fields such as Favorite Movies, Hobbies, Sports, etc. (which you can customize in Fields/Pages Manager). Friends List - members can bookmark the profiles they are interested in. Blocked List - members can hide their profile from who they do not like. Users can swiftly browse through other members' photos and Manage their Profile Pictures. Members are free to vote each other and add comments. Members can rate each other's pictures and you can display the top rated ones! Users can receive emails regarding several events within the site, ensuring you a steady traffic flow! Member Pages with fully configurable fields! 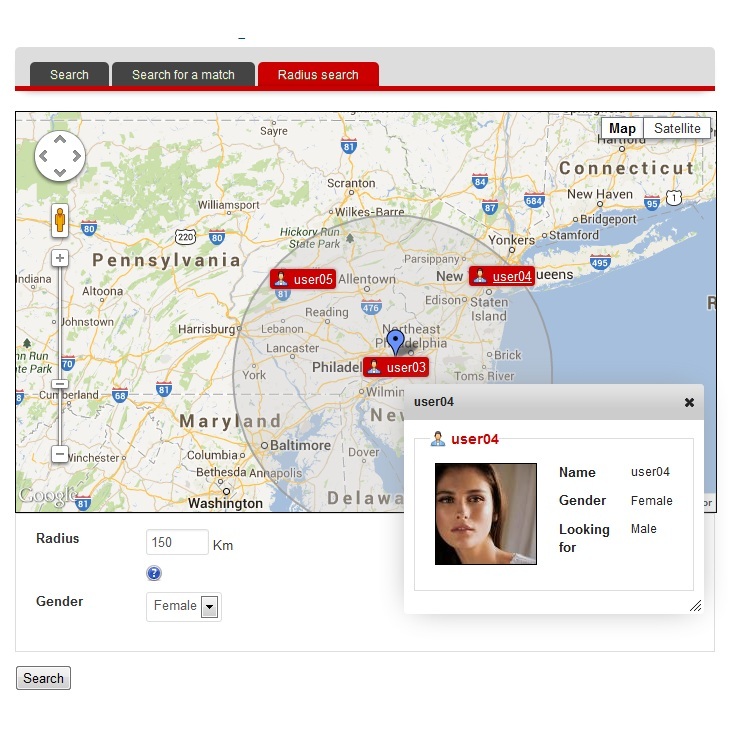 Advanced Search (to find friends or matches after certain criterias like gender, age, etc., criterias which are fully configurable by the administrator from the existing page fields. Dashboard. 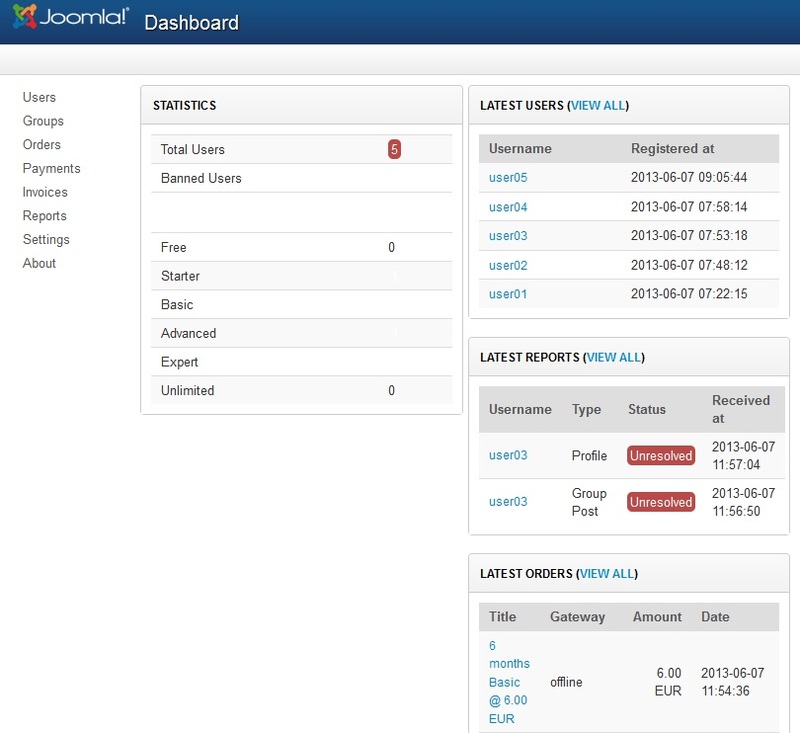 The dashboard displays different statistics, user count and levels, latest users, latest payments, latest reports. User List. Configurable member level, ban option and user details including Reports & Payments. Reports List. Administrator can see reports, act (ban, send warning, delete) and set their status. Page Fields. The administrator can create custom fields, define there type (text area, dropdown, checkbox, radiobox, etc. ), set them as required and specify the parameters. Another very important feature is that the administrator can set what custom fileds are visible on certain pages. Also to easy the work, a drag&drop method is avaialble here. Pricing. Membership levels (up to four) can be created, where different prices on each level can be set, for certain time periods. Various settings for the Love Factory extension are also available on the component backend under the Settings Page. Multilanguage support is also offered for the Love Factory Joomla Extension through Joomla language files. 100% open source allowing you to perform special tweaks for a better site integrations and according to personalized needs. For a better product insight please check also our product documentation which describes in detail, all available features and settings of the extension. If any questions, don't hesitate to ask using the ticket system or our forum.